100 Different pictures for hours of fun. In this game you can choose to play easy, 48 pieces, or hard 108 pieces, or both, 200 puzzles totally! Hours of fun guarantied. 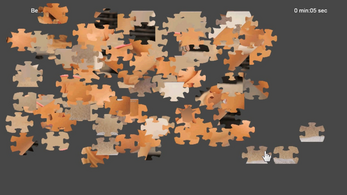 As soon you solve the 100 puzzle you can download the images used in a rar file. No censorship in the game at all! you can watch an uncensored video on my site. Aswell download a free Demo version.